At this point we still don’t have a distinct design direction to follow. We are now beginning to realize the limitations that the site and city will place on possible design ideas. 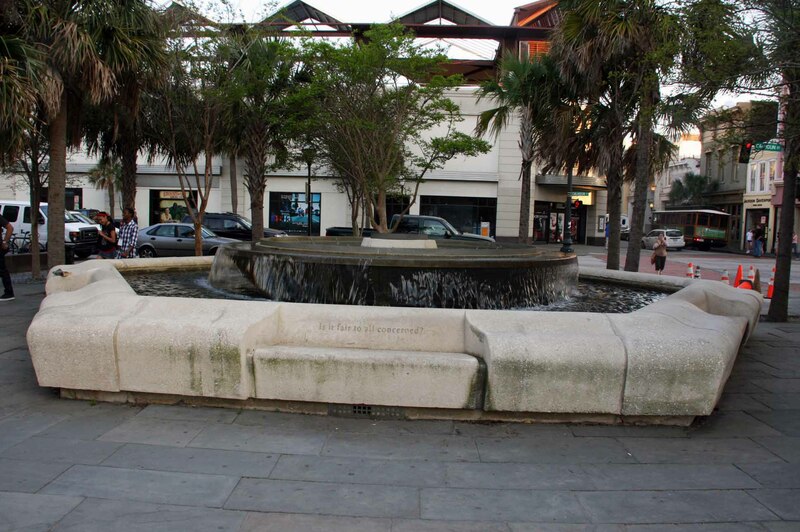 Two additional sites that we have not directly considered were introduced to us today: the fountain on the corner of Marion Square and Barnet Square off of George Street. There are benefits and drawbacks to each site. 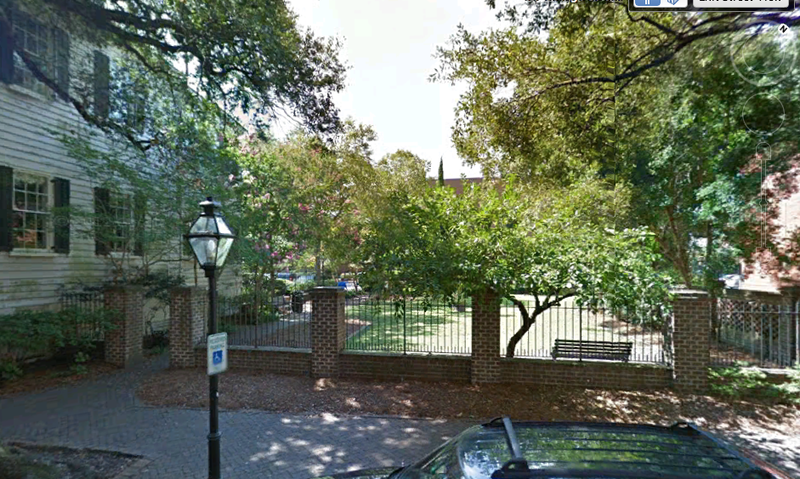 Marion Square would be seen by more people and serve as a better site to advertise for the Halsey exhibit for Don ZanFanga’s works, but promote a very temporary structure (about three weeks). Barnet Square is a much more secluded and less well-known area that would present more of a challenge to get the word out about the museum exhibit and the structure, however, it allows more possibilities when it comes to the duration of the structure (possibly even a few years). These new sites force us to re-evaluate and re-think the elements of our past designs and consider them in new contexts. As a studio we now need to apply the ideas and design components that we have used in past designs to a new design that we will collaborate on. To do this, we have decided to each pursue quick individual concepts for multiple sites to present to the group. We will then evaluate the designs and eliminate many of them to come up with a comprehensive studio design. This design will be nearly complete by the time we present on Monday for feedback about structural or site issues. By the following Monday we should have a finalized design to present to the Halsey Museum representatives and then to the city board for approval. Hopefully we will all work efficiently together to produce a successful and beautiful design for the Halsey Museum and the city of Charleston in this short amount of time.